The Giants public art spectacle is returning to Merseyside for a third and final performance this week, but not everyone is happy about the event. The street production, hosted by Royal de Luxe, a theatre company from Nantes, will start its 20-mile journey on Friday morning with giants awakening on both sides of the Mersey. In Liverpool, the proceedings will begin at 10am at St George’s Hall and, across the water, a giant will wake up at Fort Perch Rock in New Brighton at 11am where it will spend the day. Hundreds of thousands or more are expected to watch the parade, which will take in locations such as the city centre, Princes Park in Toxteth, and the Marine Promenade on the Wirral. 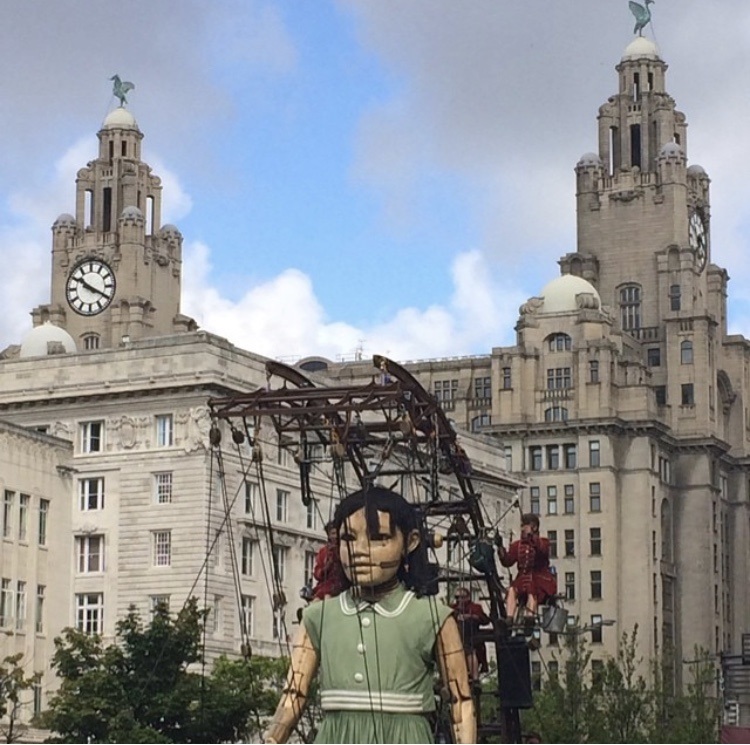 Saturday’s route will see the Giants find their way to meet each other in Liverpool and spend the remainder of their time in the city together before a grand finale on the waterfront on Sunday. However, Merseyrail has announced it is closing numerous stations and making significant changes to services over the weekend, despite the high number of passengers expected to use the network during the Giants’ visit, entitled ‘Liverpool’s Dream’. Andy Heath, Managing Director at Merseyrail, has defended the closures by saying this will allow running trains to be made up of more carriages. Mr Heath said: “The Giants in Liverpool is one of the busiest events for Merseyrail and in terms of visitors travelling by Merseyrail it surpasses most other events within the city. Tim Rogers, a consultant railway planner at PRA Operations Planning Ltd, is encouraging members of the public to formally complain about how Merseyrail is dealing with the weekend’s transport. Mr Rogers told JMU Journalism: “Merseyrail are breaching their franchise agreement which states that sufficient capacity should be provided for normal passenger flows or for additional flows that can reasonably be anticipated due to special events or other exceptional circumstances. Some Merseyrail staff members can relate to the public’s anger, with one worker who requested to remain anonymous telling JMU Journalism: “We want to come in to work and help those who need to get in and out of the city. It is not us that want to close the station, but we get ignored. 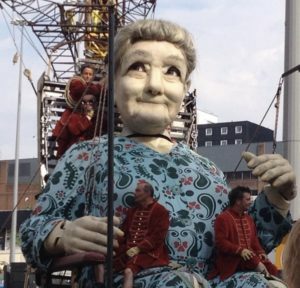 Around one million people were estimated to have visited the city to see the Giants during their last event in 2014, and this year’s final soiree is tipped to be even bigger.